A struggle for survival . . .
After their mother never returns from her night job as a rune locksmith, Rafe and Llewelyn Swale are on their own. Each has a small magical ability, which they use to eke out a hand to mouth existence robbing old Viking crypts. But the coffins are runelocked, and breaking in triggers very treacherous booby-traps. Imagining what could have happened to Mum at her last lock is enough to give Rafe nightmares. Drawn deeper and deeper into a shadowy, underground world of frightening magical skills, battles over weaponry, and missing mages, Rafe learns there is a good chance that Mum wasn’t killed by a lock but kidnapped for her talent. The only way to solve the mystery is to investigate, but doing so will bring Rafe to the attention of the most dangerous people in runework. Everyone has a price . . . and she may lose everything in trying to bring her mother home. 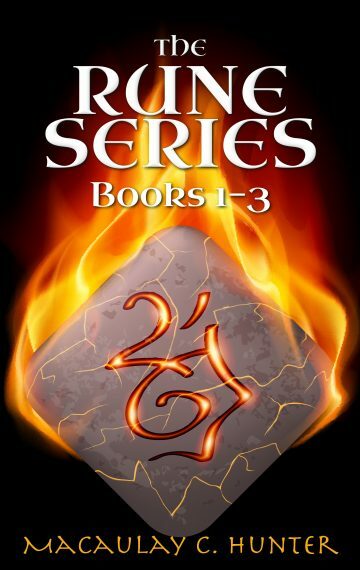 This box set contains the first three action-packed books of the Rune Series: Runefool, Runefly, and Runegame.